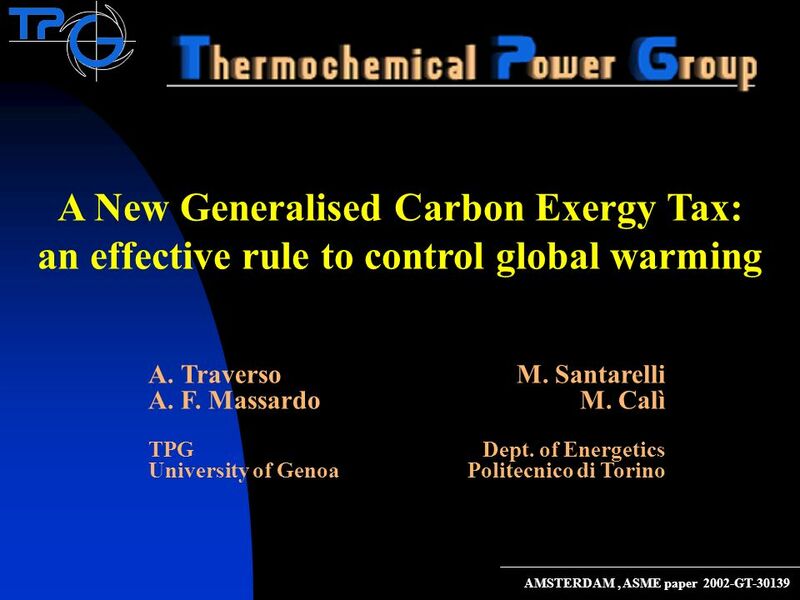 Download ppt "A. Traverso A. F. Massardo TPG University of Genoa A New Generalised Carbon Exergy Tax: an effective rule to control global warming M. Santarelli M. Calì"
Personalizzare i biglietti cambiando: Nome Cognome Eventuale titolo Via Sàntena xxxx 670.Yyyy nome.cognome. 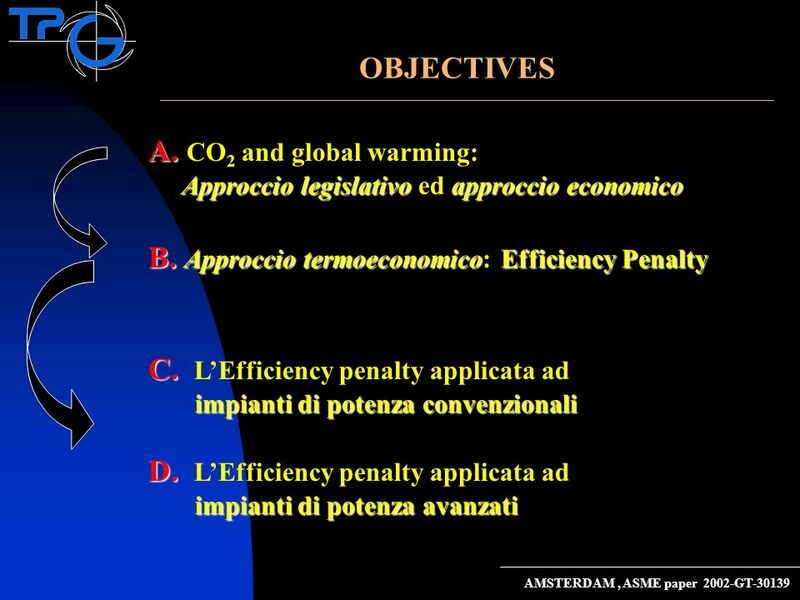 UNIVERSITÀ DEGLI STUDI DI PERUGIA Dipartimento di Ingegneria Industriale Prof. Francesco Castellani Corso di Meccanica Applicata A. General A smart global supply chain solution of forward and reverse logistics. Business Process Outsourcing (BPO). Web Based System. Inventory planning. ESDGC: Carbon Footprints.  Put the letters in the right order to form a relevant word: lolbga mangiwr. Global Warming Carbon. 2. What’s the problem? Greenhouse effect Caused by water and carbon dioxide Turns the Earth from a ‘snowball’ with a hot Equator. ESC 110: Global Climate Change: Facts & Fiction Olympic rain forest isn't going away Tuesday, February 26, 2002 DAVID L. PETERSON RESEARCH SCIENTIST Olympic. MefCO 2 - Methanol fuel from CO 2 Synthesis of methanol from captured carbon dioxide using surplus electricity June 2015. Arnoud Kamerbeek CEO DELTA NV Dutch Energy Day 2015 Amsterdam, June 25th 2015 The decarbonisation of the power sector could and should be faster and cheaper. Global Warming Sarah Jalal. What Is Global Warming? CO2 Warner Flower, Austin Brown, Jareck Jozwiak Did you ever wonder? 9/29/2012. Anaerobic vs. Aerobic Respiration. Do Now With your partner:  Use the slips of paper in your bag and determine if the characteristic is a description. Warm up: W 1.) Calculate the total cost if I want to by an iPod that cost $120 and the sales tax rate is 7.5% 2.) Calculate how much I will pay in tax. Personalizzare i biglietti cambiando: Nome Cognome Eventuale titolo Via Sàntena 19 670.xxxx 670.Yyyy nome.cognome.